Presentation 1 (THE GREEN RIDER – A JOURNEY TOWARDS SUSTAINABILITY) is a general introduction to motorcycle sport and how it may influence our natural environment. The target audience is all motorcycle role-players, local and national authorities, sponsor and media representatives. Presentation 2 (ENVIRONMENTAL RESPONSIBILITIES OF PARTICIPANTS) deals with the environmental responsibilities of competitors. The target group is all motorsport participants, also including team members and other support staff. Presentation 3 (SUSTAINABLE EVENT MANAGEMENT FOR ORGANISERS & VENUE OWNERS) deals with the environmental responsibilities of race/event organisers and circuit owners. The target group is thus organising clubs, promoters, potential sponsors, circuit owners and their support staff. Presentation 4 (THE FIM AFRICA ENVIRONMENTAL STEWARD) deals with the responsibilities of the Environmental Steward as race official. This presentation is also informative for Clerks of the Course and other race officials/stewards, who wishes to familiarise themselves with the role of the Environmental Steward. 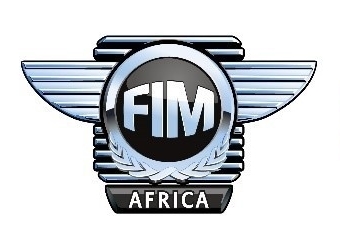 Individuals who wishes to be accredited as FIM AFRICA Environmental Stewards will write a short exam after the seminar.